Susanna Clarke returns with an enchanting collection brimming with all the ingredients of good fairy tales: petulant princesses; vengeful owls; ladies who pass their time by embroidering terrible fates; endless paths in the deep, dark woods; and houses that never appear the same way twice. Vor vielen Jahrhunderten gab es in England noch Magie. Jetzt, zu Beginn des 19. Jahrhunderts, glaubt niemand mehr an wirkliche Zauberei. Bis der zurückgezogen lebende Mr. Norrell auftaucht und die Statuen der Kathedrale von York sprechen und tanzen lässt. Die Nachricht über dieses Ereignis verbreitet sich, und Mr. Norrell geht nach London. Er nimmt den brillanten jungen Zauberer Jonathan Strange als Schüler auf und begründet mit ihm eine neue Tradition englischer Magie. In the burned-out, futuristic city of Empire Island, three young people navigate a crumbling metropolis constantly under threat from a pair of dragons that circle the skies. When violence strikes, reality star Duncan Humphrey Ripple V, the spoiled scion of the metropolis' last dynasty; Baroness Swan Lenore Dahlberg, his tempestuous, death-obsessed betrothed; and Abby, a feral beauty he discovered tossed out with the trash; are forced to flee everything they've ever known. 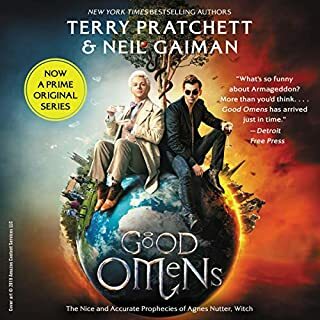 Both of the following are true: 1) This is a very good book; and 2) That fact is not obvious for about the first eight hours of the audio version. It starts very slowly, reading much like Jane Austen with magicians (though not as funny as Austen). But after a while, the plot really takes off, and it becomes an aborbing, even gripping, "read". Alas, it may have lost many listeners by that point; it nearly lost me! I don't think it's particularly well served by the audiobook format, since in text one can easily skim ahead if things are moving too slowly. I ended up doing something similar with the audiobook: I'd listen at night, with a sleep timer, and not worry too much about backing up if I fell asleep and missed fifteen or thirty minutes here or there. My advice: Hang in there! There's a great novel in store, if you can make it through the opening. 1. The narration is excellent, it is saying something when a deep voiced man can accurately portray a female character with nuance and feeling and bring tears to my hard heart. 2. The massive detail and interesting footnotes make for a long book and for 80% of it's progress one is left interested but not knowing what it is all about. I consider this more of an asset than a defect but if you need everything spelled out for you and good and bad guys assigned clearly it may be frustraiting. It is not ADD friendly, it reads like it was written by someone who loves to read intricate books not someone who wanted a simple plot so it would make a easy screenplay (tho it is being made into a film anyway). As a result if you do not get past that 80% mark you are missing out on a real gem. In closing this was an excellent listen, if you like the fantasy work of Ursula K. LeGuin (the books, not the worthless tv show) chances are you will love it. Literature majors have to read a huge cross section of writing. Hopefully, at one time or another, they will learn that there are books out there that have every reason to be great works, but they just don't like them. JS&MN is like that for me. I listened to the book twice, to give it a fair listening. When I was done my conclusion was that some books were, in fact, written to be read, not read aloud. The need to fall to foot notes or appendices for some given information would often break train of thought. This wouldn't happen while you were actually reading. Don't get me wrong, it does fit the genre and time period, it was just hard for me to sometimes stay in a slower section when some note came up about someone who is, perhaps, mentioned only in passing. Also the transition between one passage and the other isn't clear cut in a reading. For me, at the beginning, two of the characters, Black and Strange, get hard to separate. Now, my whining aside, the book is an excellent choice. Ms. Clarke does a wonderful job at keeping faithful to the English arrogance of the era. You have to understand that it was just something that they expected, everything English was superior, from education to their society. Who wouldn't want to be English? But just when it is easy to become complacent, she sneaks a twist at the end that isn't shocking but unexpected. If you are a listener who sits down to place your entire attention on a book, I cannot suggest JS&MN more. If, like me, you find yourself doing other things while you listen, this book might be one of those you have to stop and back up, to listen to something you missed. The reading was superior, and I've heard a few that were not so I know. His inflection and rhythm are what a listener expects in a novel about England at the time of Napoleon. The casual air of assumed superiority in every situation was fantastic. In the future I will look up books based on their being read by Mr. Prebble. What did you love best about Jonathan Strange & Mr. Norrell? I am not a professional reviewer. I'm a writer. Beyond that, I appreciate works for what they are and what they're trying to be. If I review a book, I will probably give it a five-star review. This is because the books that I don’t enjoy enough to give five stars--or the books that I don’t finish--I won’t end up reviewing, simply out of professional courtesy to my colleagues in the business. Elitist Book Reviews will give more balanced reviews, whereas my reviews are not intended to be balanced. They are intended to talk about the book, what I like about it, and maybe some of the things that annoyed me. But at the end of the day, if I finished the book, then it deserves a good rating in my opinion. 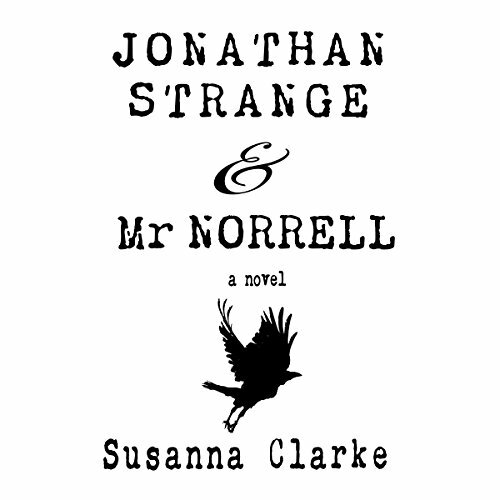 Jonathan Strange and Mr Norrell – I found this book delightful even though I didn’t really expect to. In fact, during the first third of the book, I was convinced that I was going to end up putting it down. It was just too slow, though the slowness wasn’t really as big an issue as it sounds because Susanna Clarke’s prose is wonderful. It feels like the best mix of regency and modern with a slight sarcasm to it and a very keen sense of ambiance and world-building. 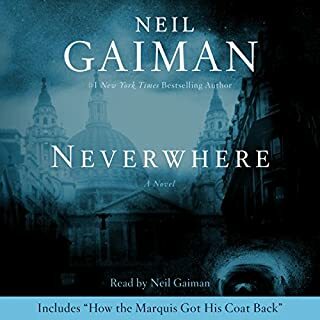 The footnotes are great, and the whole thing just works together masterfully prose-wise, but the character--particularly Mr. Norrell at the beginning--was just so unengaging that despite the nice prose and world-building, I was having trouble getting through the book. The fact that it was an audio book--and that the narrator is so fantastic--really pushed me through this. Once I arrived at Jonathan Strange's viewpoint, I found him more dynamic and more interesting. Though the pacing of the book only increased a little bit, the natural wonder and whimsy of the language was able to take center stage, and I found myself thoroughly enjoying the book. By the ending, I was happy I had finished listening to the novel. 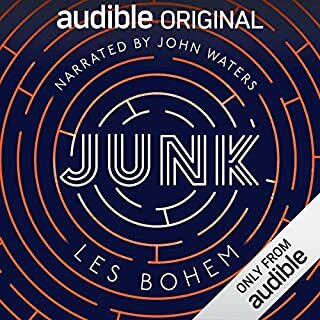 I think it is somewhat unique as a piece, and is a wonderful read, particularly in audio book. The ending left me a little disappointed, but this is really relating to characterization, and I don’t want give any spoilers. The characters are very well-drawn; they're just not always the people that I wish they could be. I make a special note of the side characters. To a person I found them very interesting and a highlight of the book. I thought that Childermass was particularly a fun, complicated, and interesting character. Overall, I really enjoyed this book, but I do have to reiterate what a lot of people said. It is slow. It is a book about the language and the setting, not a book about character and thought. Though I've given other audible books 5 stars, after listening to this one, I realize they deserved only 3 or 4. Set in seventeenth century England this story is lushly peopled with servants, kings, magicians and lunatics. Though "magic" is a central theme of the book, the fantastical is so seamlessly interwoven with real historical figures and events that it is hard to tell fact from fiction. I warn that the first hours of the book are difficult. Though Clarke writes beautifully, the barrage of characters introduced are hard to keep straight, and can feel disorienting. Nonetheless, after setting the stage, the story pulls you in and under. Don't miss one of the best novels in Audible's library. This is one of the best downloads I've heard. Susanna Clarke has hit a home run. The universe of Jonathan Strange and Mr. Norell is a strangely dark and disquieting one. The people are a complex mixture of good, evil and indifference and who is to know the difference. The musings about the Raven King and his role in the world echo theological arguments that entangle the great minds of today. She couches great themes in small events. Language has been well served in this book. A delight to listen to. I'm definitely in the camp with those who LOVE this book, rather than those who think it's length and breadth are a detriment. Some stories are told in such a way that you're in the passenger seat of a sports car at high speed - you feel the road, are aware of every upcoming curve, and are gripping the seat for dear life. Jonathan Strange and Mr. Norrell is not like this. Think of this book like a long distance train ride: the story is delivered in a smooth, civilized way, at a pace that never seems excessive, even though the countryside the writer covers is beautiful and expansive, the horizons out every window are lush and as stretch as far as you can look. The pace is such that you have lots of time to become familiar with this world, with the characters, even though the amount of information delivered is vast. That being said, there are a million small details, and if you aren't paying attention you might miss something that will become important information in holding together the strands of the story in the upcoming landscape: the significance of a river, a footnoted character, the location of a town. 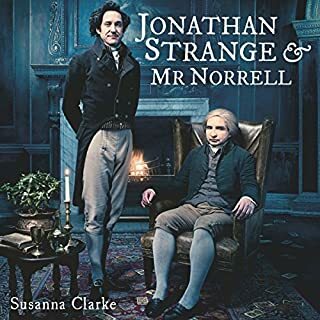 Jonathan Strange and Mr. Norrell is not a book you should listen to if you want a high speed romp through a sorcerer's battlefield. It is a book you should listen to if you want to give your brain a story to chew on that's interesting, a world that's just a twist from our own (i.e. with the additon of magic), that's been written and read by two people (Ms. Clarke and Mr. Preeble, respectively) who together create a fantastic and civilized journey through an ancient time that almost was. This book is a delight. It's a wonderful combination of wit, sentiment, fantasy, and a reference back to the great literature of the past. A truly adult fantasy where "adult" means literary merit and intelligence, not sexuality. I read it some years ago and liked it but decided to listen to it again. I found the listening experience even better than reading it. A great narrator and a fine, fine book. 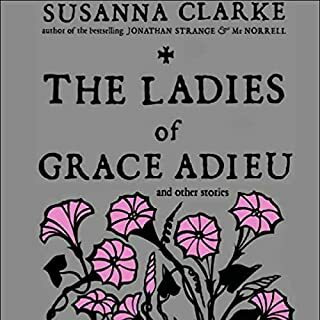 I also recommend Clarke's "The Ladies of Grace Adieu", set in the same world as "Strange and Norell". I just wish she'd write another book soon, I can't wait. i've downloaded a variety of books from audible, probably 40ish. this by far is my favorite. its starts a little slow. i had to try 2-3 times to start the book, but when i did i didn't want the story to end, and when it did end i was devastated there wasn't any sequels. not many great books do though. but it did leave me wanting more; so i did what i could only do. i listened to it again. Maybe I'm missing out on what's so "enchanting" or "enthralling" about this book, but I simply didn't find it very entertaining. At 32 hours of listening time, I didn't expect every moment to be a completely enrapturing experience, but there were times that I honestly felt like it was a chore to tune my iPod to this book to finish it. The storyline was very interesting, and at times Clarke has moments of real magic in her wordcraft (i.e. the madness of Mrs. Delgado) but the "historical" information inserted between the action made this book read much more like a textbook than a work of fiction, which I'm sure is what Ms. Clarke had in mind. As a fictional textbook, Ms. Clarke's writing is right on the money-- her stylistic execution is perfect at convincing the reader they are studying a Victorian history of the magical lives of the two characters. (I'd like to reiterate what a genius she is at creating this illusion- it's flawless.) This, unfortuantely, is the work's main downfall: the perfection Clarke achieves in Victorian textbook style makes for dry and often downright boring reading. As a fan of writers such as Thomas Hardy, Jane Austen and the Brontes, the style of this book was very familiar, and the choice of narrator was excellent to convey this style. However, this book seemed more suited to the readers contemporary with the above authors, used to dry commentary and analysis and slowly-paced action. 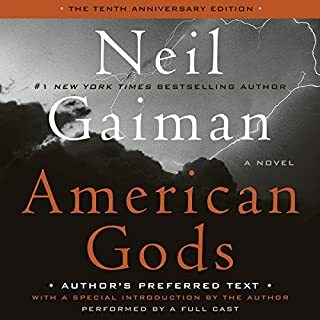 I usually listen to audio books as a means of passing the time on my 45-minute commute, and I found myself falling asleep at the wheel a few times during this one, not to mention having my mind wander off constantly because I couldn't keep my concentration on the book-- a problem I have honestly never had before. My recommendation: if you live for Victorian literature, you will enjoy this book, but if you're looking for a well-paced storyline that will keep you from falling asleep at the wheel, skip it until an abriged version is released.